In the first decade of the 20th Century, Cosimo and Editta Rucellai became proprietors of the Villa and Fattoria di Canneto when Cosimo's uncle, Paolo Rucellai, decided to ‘retire'. Together they worked to modernize the house in order to make their seasonal visits with their family more comfortable, and made changes to the farm and gardens. Eventually their son Giangiulio Rucellai inherited the estate and he and his wife, Teresa, made the house a home where they could live year round. This work was aided by the disastrous results of the construction of the railway line up the Bisenzio Valley in the early 1930s. This work, long planned and finally carried out, involved the digging and building of the short tunnels that pass under the village of Canneto. The digging caused a shift in the hillside and the Villa suffered major internal damage. In the midst of the repair work, the Rucellai were able to install and expand electrical service, plumbing, heating and telephone throughout the house. During the ensuing 40 years, Giangiulio sold parts of the estate to simplifiy the work of the fattoria and to avoid bureaucratic difficulties regarding the boundaries of the land falling in different governmental jurisdictions. 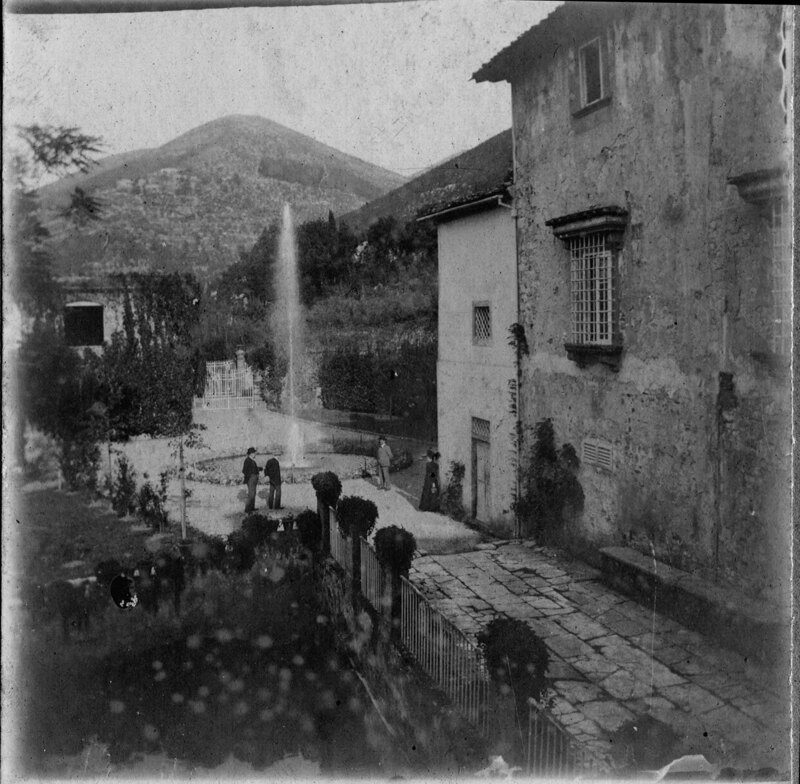 After Giangiulio Rucellai passed away in 1969, the estate was divided between his four children, with Giovanna, his eldest daughter becoming the proprietor of the Villa and the land around it. When Giovanna Rucellai died in 2002, the estate became the joint, undivided property of Giovanna Rucellai and Paolo Piqué's four children (Giovanni, Lorenzo, Francesca and Alessandro) as it remains today.